Chisaki Mono is the ending theme to the first Advanced Generation movie, Nana-Yo no Negai Boshi Jiraachi. An English version was created for the dub of the movie which contains samples from the Japanese version. 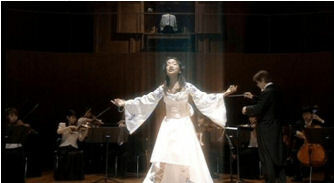 Used in episodes Theatrical Film AG #01, Nana-Yo no Negai Boshi Jiraachi. CD('s) found on: Saku, The Small Thing, Pocket Monsters Advanced Generation "The Seven Nights' Star of Hope--Jirachi"/"The Dancing Pokemon Secret Base" Music Collection, and Pocket Monsters Movie Anime Theme Song Collection Perfect Best 1998-2003.